Seven Dials dates back to 1692 when plans for the area were submitted to Sir Christopher Wren, the then Surveyor-General for London. The area is based around 7 streets cumulating in a star shape around the Sun Dial – thus the name Seven Dials. 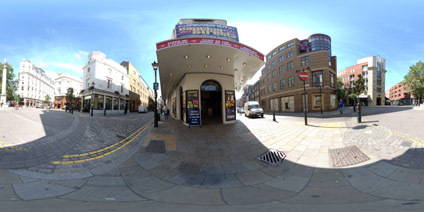 View the Quicktime panorama of Seven Dials London. (2.3mb).